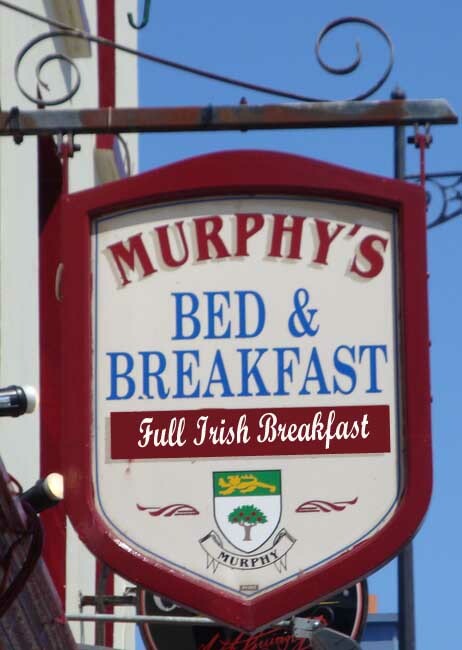 Above is shown a large and robust carved wood sign for the Irish style "Murphy's" Bed & Breakfast (B&B). This classic and colorful 2.5-D flat relief sign features raised and engraved text, border, artwork, and a smooth background. The sign is hand-painted and then clear-coated twice. This sign is hung from a wrought iron scroll bracket , which we can also provide.